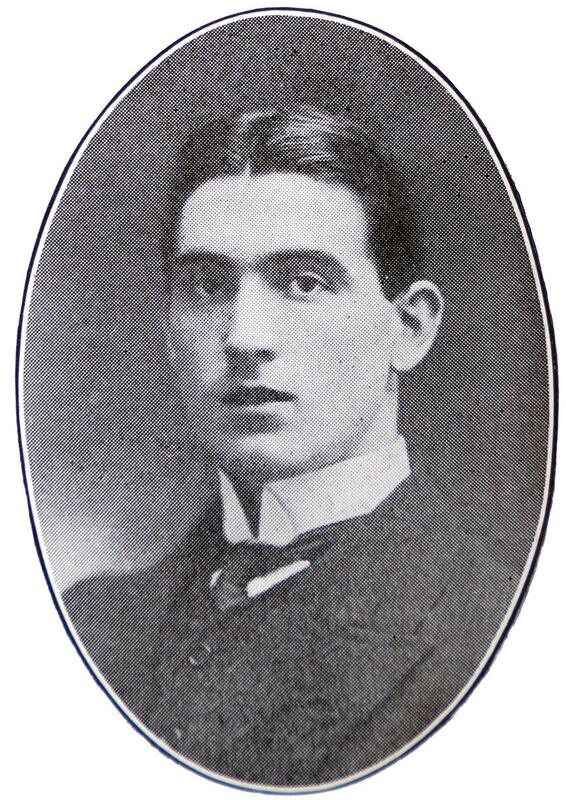 Horace was born in Greenham in 1891 the son of Henry Biddis Parker and his wife Alice Annie née Fifield. Henry was an iron moulder, probably working for Plenty & Sons, a notable local foundry and engineering works famed for its marine engines and lifeboats – in 1911 Henry gave his unnamed employer’s business as marine engineering. The family lived in The Folly, Newbury at 2 Rose Villas where they raised their six children: Caroline Martha (born 1886), Henry Biddis G (1887), Florence Bessie (1889), Horace William (1891), Alice Annie (1894) and Hilda Frances (1897). The boys, Henry and Horace were also employed by a marine engineering firm in 1911, again this was probably Plenty’s. Young Horace, aged 19 at the time, was an engineering apprentice. His regimental number suggests he enlisted into the Berkshire Yeomanry in late 1911; this was not a full time enlistment, the Yeomanry were a Territorial Reserve unit, part-time cavalry attached to the 2nd Midland Division (whose area included Berkshire). When war broke out in August 1914 the Yeomanry were mobilised along with the rest of the Territorials and urged to sign the Imperial Service Obligation. This was necessary because the Territorial service obligations were limited to service in the UK and the need was for troops to serve overseas. The majority, but not all, Territorials signed, those that didn’t were separated into what became known as 2nd Line units; Horace was among those who signed and served in the 1st Line unit, the 1st/1st Berkshire Yeomanry (usually referred to just as the 1st). On mobilisation the Berkshire Yeomanry gathered at Churn Camp on the downs near Didcot; they were joined by the Queen’s Own Oxfordshire Hussars and the Buckinghamshire Yeomanry their fellows in the 2nd South Midland Mounted Brigade (the 1st Brigade gathered on Newbury Racecourse). In September the Oxfordshire Hussars left the brigade to go to Belgium as cavalry support to the Royal Naval Division defending Antwerp- a plan that went totally awry, but nevertheless meant the Oxfordshire Hussars were the first territorial unit to see service in a theatre of war. They were replaced in the brigade by the Dorset Yeomanry. 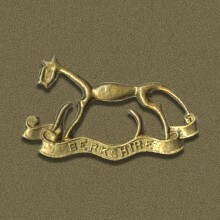 The Berkshire Yeomanry had to wait until April 1915 before they went overseas after spending the winter in quarters in Norfolk during which time the 1st and 2nd South Midland Mounted Brigades were reorganised into the 2nd Mounted Division along with two more mounted brigades, horse artillery and other divisional troops (medical, veterinary, signals, supply & transport). On 21 April the Berkshire Yeomanry landed in Egypt. While there the Division was reorganised and the 2nd South Midland Brigade became the 2nd South Midland Regiment in the 1st Composite Mounted Brigade. In this formation the troops sailed for the island of Mudros, a staging post for transport to Gallipoli. They left their horses in Egypt, their first action would be as infantry. On 17/18 August 1915 the Division landed at Suvla Bay on the Gallipoli peninsula and moved into reserve positions at Lala Baba on the night of 20 August. On 21 August it advanced to Chocolate Hill under heavy fire and took part in an attack on Scimitar Hill (Yusufçuk Tepe). Although they were able to take a portion of enemy trench they were unable to hold it and were forced to retreat with heavy losses - 9 officers and 314 other ranks went into action, 4 officers and 150 other ranks returned. Trooper H W Parker, of Rose-villa, Pyle-hill, is now reported not to be missing, a communication to that effect having been received on Friday last. Most of the dead were left lying on the slopes of Scimitar Hill but it was possible to go out after dark and collect identity tags from many of the bodies as ‘proof of death’. At that date soldiers were only issued one identification disc, this meant that a great many of the decomposed bodies were unidentifiable when it was possible to recover their remains. 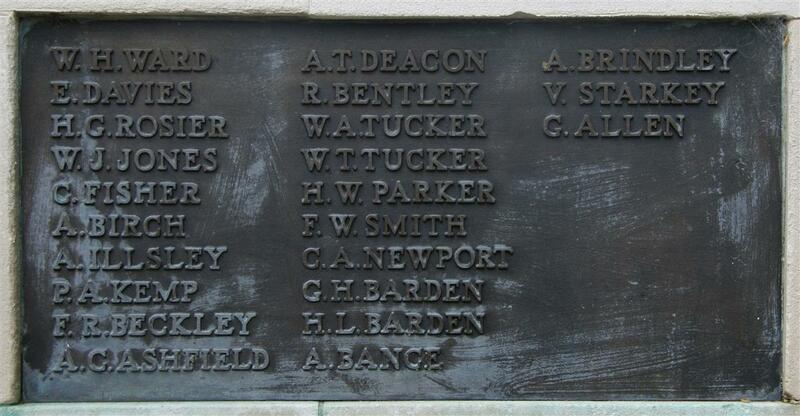 As a result many, including Horace, are remembered on the Helles Memorial to the missing of Gallipoli. Horace’s name appears on panel 19. One of Horace’s comrades, Trooper Fred Potts, was awarded the Victoria Cross for saving a comrade. Although wounded himself, Potts dragged his mate back to the British lines over the three nights following the action. Locally Horace is remembered on tablet 6 of the Newbury Town War Memorial and on the splendid memorial window in St Mary’s, Greenham.